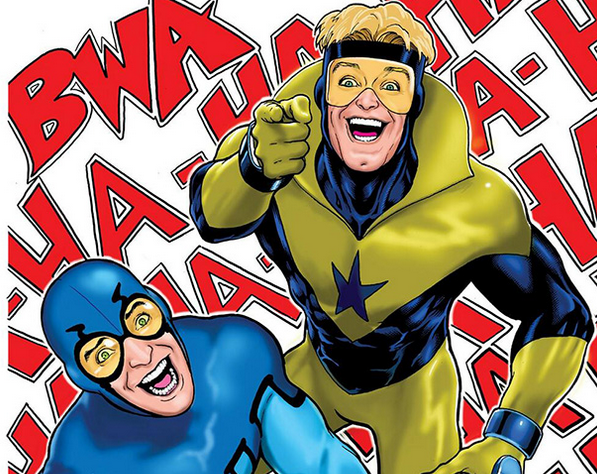 'Booster Gold/Blue Beetle' Superhero Comedy Film in Development at Warner Bros. Critics of DC Comics cinematic universe's grounded "dark and gritty" film adaptations can finally rejoice with news of a rumored "Booster Gold/Blue Beetle" movie in the works at Warner Bros. Described as a "superhero buddy cop" movie, the movie will feature two heroes who've famously started a bromance in the comics long before the term was coined. The Tracking Board exclusively reported that DCTV's go-to guy, Greg Berlanti (Arrow, The Flash, Supergirl), will be directing and executive producing the film along with producer Sarah Schechter and the studio's Julia Spiro. Created by Dan Jurgens, Booster Gold first appeared in his own series in 1986 and has been a member of the Justice League and Suicide Squad. The character begins as a glory-seeking showboat from the future, using knowledge of historical events and futuristic technology to stage high-publicity heroics. Booster develops over time through personal tragedies to become a true hero weighed down by the reputation he created for himself. He's beloved by fans for his cocksure attitude and snarky humor. A Ricky Bobby-type if you will complete with corporate sponsors. Ted Kord, a former student of Dan Garrett, a genius-level inventor, and a gifted athlete. Kord and Garrett were investigating Kord's Uncle Jarvis when they learned Jarvis was working to create an army of androids to take over Earth. 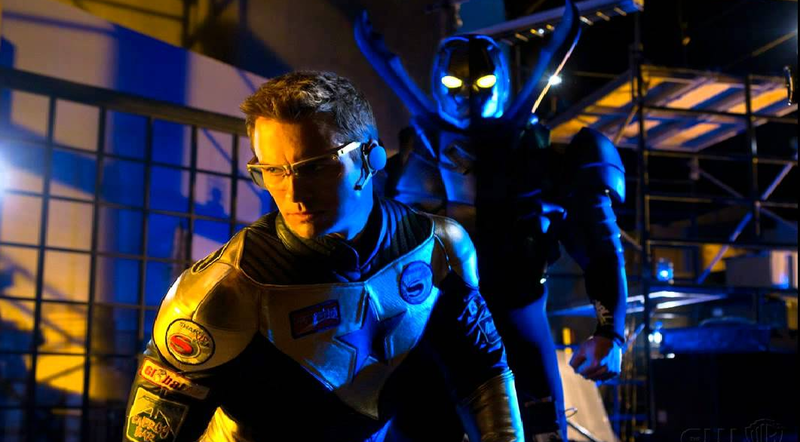 Garrett changed into Blue Beetle, but was killed in battle. As he died, he passed on to Kord the responsibility of being Blue Beetle. He plays the straight-man to Booster's more flamboyant persona. This is a departure for DC movies amid a huge slate of upcoming films featuring Justice League members, primarily Batman V Superman and Suicide Squad premiering in 2016. Critics have bemoaned the lack of cornball comedy that have made Marvel Studios films both funny and exciting, albeit growingly formulaic. With Blue Beetle and Booster Gold, these characters lend themselves to a more comedic take based on their history of comic book collaborations. The 'buddy cop' comedy approach seems like the perfect vehicle for these fan favorite heroes. The pair seemed to always be on the threshold of finding a regular place in live-action. One or the other were considered to have their own show at one point in time. Berlanti even wrote a script for a potential Booster Gold show on Syfy that never materialized. The fact that he's a fan bodes well for the project's handling of the character. Heroic Hollywood added this tidbit: Zak Penn (Elektra, X-Men: The Last Stand) is being "eyed" to write the Booster Gold/Blue Beetle movie. It's just a rumor and he may be in consideration, but we're hoping for other candidates to emerge. Blue Beetle Booster Gold comic books DC Comics Greg Berlanti movie Warner Bros.
Labels: Blue Beetle Booster Gold comic books DC Comics Greg Berlanti movie Warner Bros.